Lawyer Singapore: What Is The Difference Between A Lawyer And An Attorney? What Is The Difference Between A Lawyer And An Attorney? The demand for lawyers and/or attorneys is increasing at a higher rate in Singapore. This is because cases that require their services are increasing as well. For instance, if someone has planned to challenge you in court about a certain case, then you have no choice, but you need to hire someone who is professional in matters related to law and courts to act on your behalf. Otherwise, if you represent yourself in the law courts without the aid of the above professionals, you are more likely to lose the case if the other party has a lawyer or attorney who speaks on his/her behalf. In general, these professional plays a powerful role in making sure that people receive fair judgment in law courts and that justice prevails at all times. As stated in the introductory section, hiring the above professionals is one of the coolest ideas you can opt for whenever you are faced with a case to answer. However, there are two kinds of law professionals: a lawyer and an attorney. Under which circumstances should you hire a lawyer and not an attorney? On the other hand, when is the right time to hire an attorney rather than a lawyer? 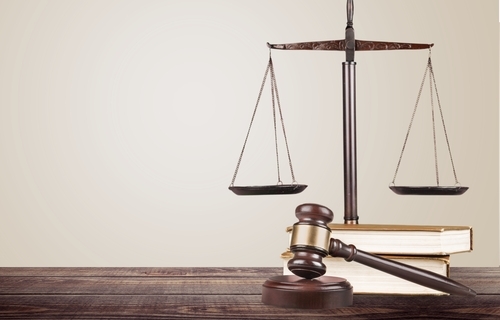 Is there any clear distinction between a lawyer and an attorney? Well, if the above has been your concern, then worry no more as this article as good news for you as it unveils an ultimate difference between the two kinds of professionals. As a matter of fact, when watching a television or listening to the radio, or when talking with your friends, you will often hear reference to attorneys’ and lawyers.’ Despite the fact that these two words can be categorized easily, the truth of the matter is that they do mean different things. However, the difference is very slight, and that is why many people in Singapore have been using them interchangeably. Nonetheless, before unveiling some differences between a lawyer and an attorney, it is very important for readers to have a vivid understanding of what qualifies someone to become either a lawyer or an attorney. Indeed, if you can distinguish between a lawyer and an attorney, by that you can know the first difference between the two most interchanged terms. In Singapore, a lawyer is an individual who has been educated in the law. In other words, any person who has been educated in the law is addressed as a lawyer,’ This title is entitled to him or her even if he/she doesn’t offer any legal advice to other people. As a matter of fact, a lawyer in Singapore is simply an individual who has gone through the school of law. Nevertheless, a lawyer who has just completed his/her schooling in law is not allowed to carry out certain types of legal tasks until when he/she sits for and pass the bar exam. This exam is specific to particular areas of jurisdiction that one wishes to practice. Therefore, you cannot represent anyone in court if you not have successfully passed the bar examination. In everyday conversation, an attorney is typically abbreviated as attorney-at-law. This term was first used in the United States in the year 1768. Attorneys are sometimes recognized as lawyers. If you want to be an attorney, it is required that you must graduate from law school. While at law school, an individual can as well choose to practice law as his/her profession. However, any potential attorney must sit and pass the bar exam so that he/she can be eligible allowed to practice law in a specific jurisdiction. Other than doing the basic duties of a lawyer, an attorney is allowed by law to act as a legal representative for their client(s) as well. Apart from interpreting the law, attorneys are required to apply their knowledge and skills of law to provide fundamental law needs to their client(s). In general, an attorney can act or play the role of a lawyer, but some lawyers are not allowed to perform the duties and task of an attorney. Is there any other major difference between a lawyer and an attorney? Yes, there are several other differences, which include difference in the steps involved in achieving the respective titles. Ideally, one of the essential and basic steps required for the individual to become an attorney involves sitting for a bar exam. Of course, this step has been explained in the former section, but it has to be noted that this is a rigorous test/exam that last for about two or three days. Since this test is not quite simple, only 50 percent of students sitting in it usually pass. That is to say, an attorney is subjected to a much tougher exam than a lawyer is. On the other hand, a lawyer does a similar test, but it is simpler. That is why a lawyer works as a technical attorney, just by serving as a policy advisor or a consultant, although he/she is not given the powers to act as a legal representative. The other difference between the two professionals is the level of allocated duties. 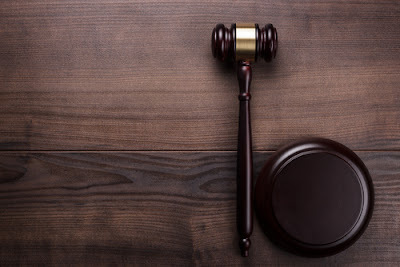 An attorney is an individual who is legally permitted to provide legal advice, represent another party, or act on behalf of a client in matters related to legal undertaking. On the other hand, a lawyer is an individual that holds positions that has more obligation and duties. A lawyer may specialize in many areas, which include environmental law, criminal law, civil law, field of intellectual property, and many more. They are constrained by the law to comply with a certain strict code of ethics. In general, a lawyer takes various and several roles depending on their field jurisdiction as well as the position they hold. Some of the duties conducted by a lawyer include provision of legal advice, counseling, guidance, and instructs their clients on legal duties, rights, and obligations. Similarly, they propose the next course of action to their clients both in matters related to business or personal issues. Although there is an existence of technical difference in understanding the factual difference between the above terms, practically speaking, it is only a lawyer who is in a good position to know the exact difference between a lawyer and an attorney. However, most people feel safe to use the above words interchangeably as much as a professional lawyer is in control of their case, since a lawyer can as well act as an attorney.